Conquered a few killer hills today. One was so steep, we both had to dismount and push the bikes up the hill. When we got to the top, a nice cold sprinkle of rain cooled us off. It was like the universe was giving us a cookie. Almost ran out of daylight before finding our current campsite in Manheim. We’ve just arrived and are looking forward to any sort of shower! 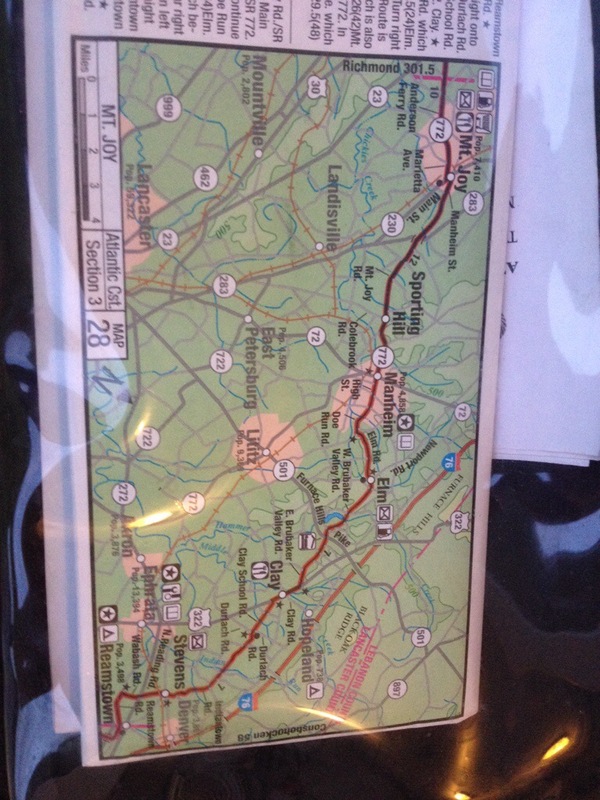 Here’s our map 2/2 we covered today. I’m feeling strong! 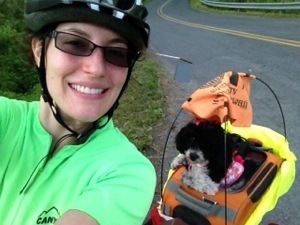 Petunia is a happy pup- lots of peanut butter, water, chicken soup, chew sticks, running, and the wind in her hair when we cruise downhill!